Did you know that when a dentist looks at your mouth, they can tell a lot more than just how often you’re brushing? It’s true: your oral health is like a window into your lifestyle and habits. Dr. Kunick, Dr. Markham, Dr. Covelli, Dr. Juech, and Dr. Masek at Today’s Dentistry should know. We’ve seen mouths from all over Cedarburg & West Bend in our office! None of these conditions are desirable, and left untreated they can lead to further damage. The longer these symptoms are left untreated, the more detrimental they can become to your dental health. 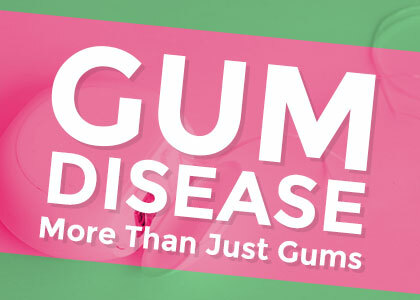 According to the American Academy of Periodontology, 20-30% of Americans have gum disease that puts them at risk of losing teeth. Let the team at Today’s Dentistry be your partners in health. Call us today to take the first step toward a more vital tomorrow!